On January 5, 1972 President Richard Nixon initiated the U.S. Space Shuttle program. The first shuttle launch would take place on April 12, 1981. All 135 Space Shuttle launches originated from Kennedy Space Center’s Launch Complex 39 located on Cape Canaveral, Florida. 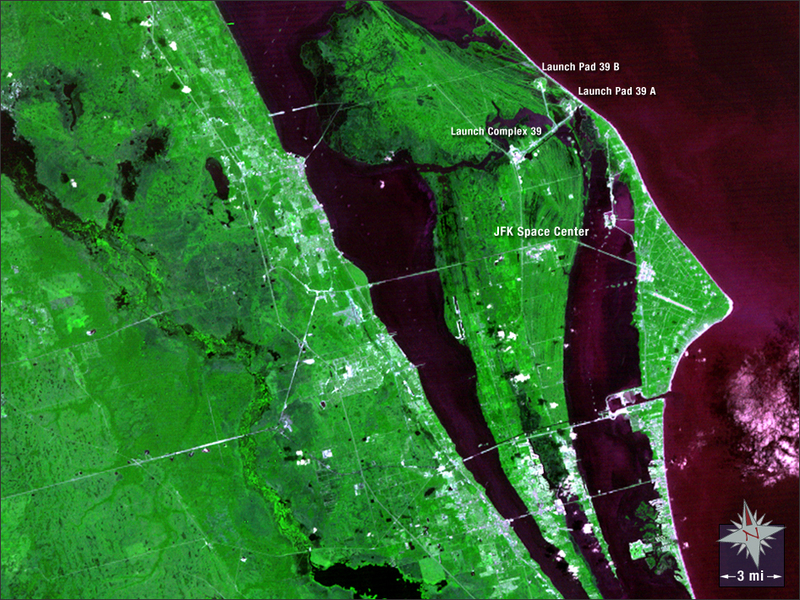 In this Landsat 1 image vegetation is a bright green, manmade structures appear white, and water is a reddish black.